Carbon Offsetting gives individuals the chance to offset the amount of carbon they have produced, typically by making a journey by plane, train or car, by funding a green power or alternative energy project, which offsets their personal carbon footprint. 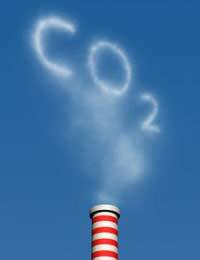 Carbon production, through chemical emissions, is a major contributor to global warming, which is so adversely affecting our planet, in the form of climate change - temperature fluctuations and the wild weather patterns that are occurring around the globe. So-called green tags encourage everyone to try to find solutions to this situation, which could spell catastrophe for the planet. While individuals, private businesses and to some extent Governments, search for renewable energy and alternative energy solutions both to the carbon produced through regular energy, such as coal burning and gas production; offsetting your personal carbon footprint through carbon offsets is a way in which the individual can contribute to the research and carbon neutralising projects around the world. Many carbon offset projects are small-scale operations. Those in the UK for instance, are often small-scale reforestation projects, which are run at one end by a few farmers or a trust, that manages a piece of land, and will plant trees on it according to demand. At the other end of the operation, a website is set up, which allows subscribers to calculate the amount of carbon they produced either making a journey or through another activity. The cost in pounds per unit of carbon produced is calculated, and the subscribers usually pays online using a credit card, and may receive a certificate (also by email) that certifies their contribution, and efforts to reduce their personal carbon footprint. Bigger operations in the world of carbon offsets include a UK-based office operating a website, with the actual physical project; be it reforesting a huge area of the Amazon or Africa, or operating a compost scheme in Egypt, working on the ground in those areas. There is sometimes a disconnect between the main office and the actual project, and there have been claims that on the ground projects such as these in Africa are not properly supervised or maintained once completed. Other claims indicate that many companies set up in the UK with websites, saying they used subscribers money to support green power and alternative energy, and helped people become carbon neutral, but they were in fact, shark operations, in it for the quick buck. Many companies have in fact been operating without a registered office address or a phone number, simply a website to advertise their (often fraudulent) services, and to anonymously collect payment. The British Government in late 2007 realised they must intervene in this situation, and set out to regulate the carbon offsets business, which was fast becoming an Industry. As with other models of regulations on business and Industry, the Government imposed strict rules governing advertising, membership of a professional and regulatory body, and powers to act against fraudulent businesses, including the seizing of bank accounts and monitoring of staff. It is still early days to see how the regulations are taking effect, but this is a crucial field, where Individuals can contribute their bit to the campaign against change and global warming by supporting renewable energy, green power and alternative energy, and becoming carbon neutral, so strong regulations will help keep this important process on track.